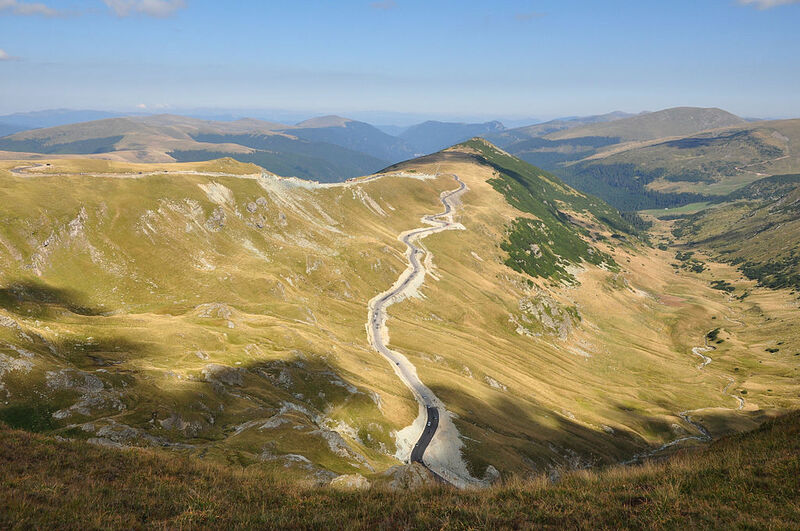 Tour Highlights: Set through the highest peaks of the Carpathian Mountains, deep into the heart of Transylvania, the “King of Romania” challenge is for the road cyclist enthusiasts. 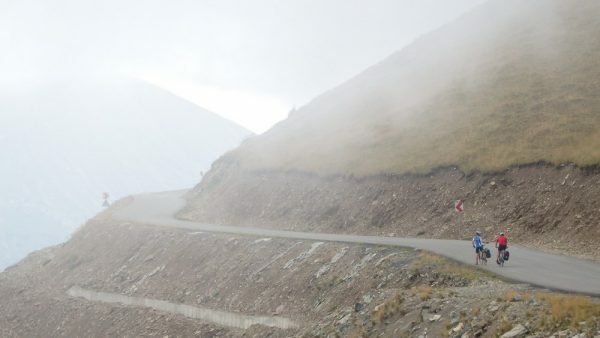 With a total climbing altitude of 8000 meters and 460 kilometres (over 4 cycling days), this tour will take you passed peaks exceeding 2000 meters altitude and on incredible roads and views. A service van will be provided to carry your bags and fix any problems you might have. Can you be the “King of Romania”? 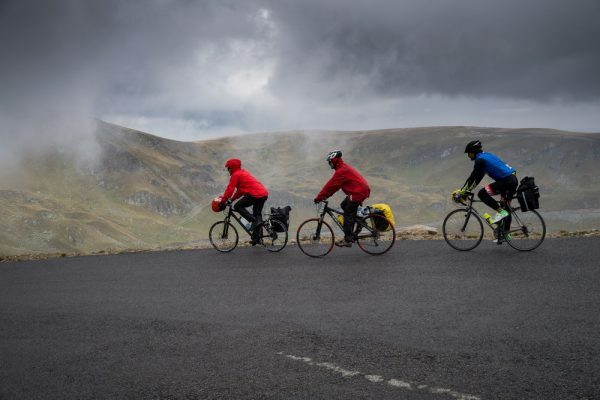 Day 2: (110km +2880m) Cycle on the incredible Transalpina pass, reaching an altitude of 2120m. Enjoy some incredible views with an average incline of 5.3% and a maximum incline of 15.5%. Stop overnight in Sugag area. 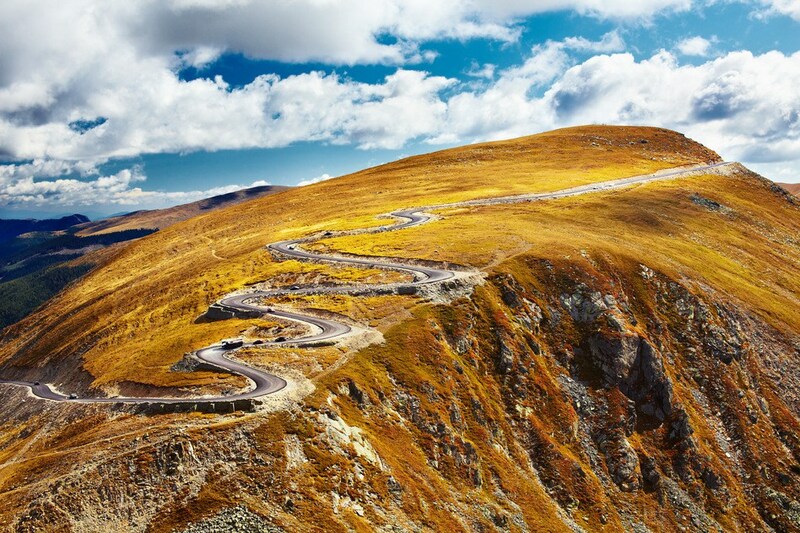 Day 3: (124km +1250m) Transit day from the end of Transalpina to the start of Transfagarasanu. With a medium ramp of 2.8% and maximum altitude of 979meters, this day is all about the wonderful landscapes that the Carpathian Mountains provide! Reach Cartisoara where you stay overnight. Day 4: (118km +2390m) Final day of the tour takes you on the famous Transfagarasanu road, named the best “driving road in the world” by Top Gear. Passing Balea Waterfall you climb up on the famous bends and reach the glacier Balea Lake. 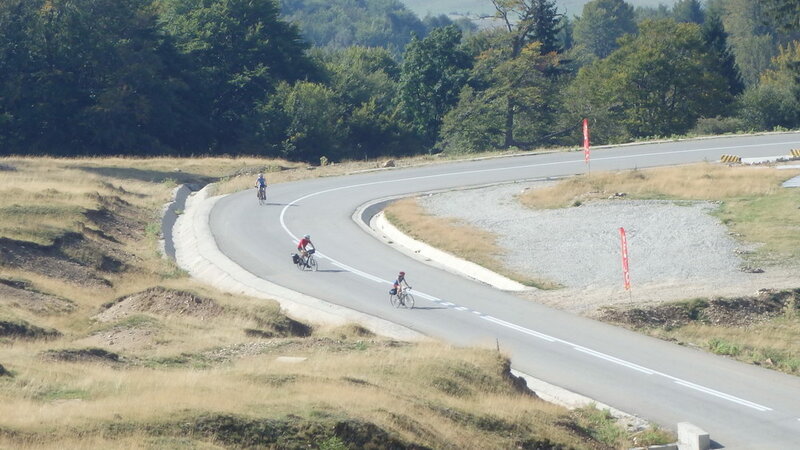 Beautiful descent down to Vidraru Lake with closing the loop at Curtea de Arges. Transport back to Bucharest or Sibiu airport. Maximum incline 27% with medium incline of 7.2%. Max altitude is 2212m. 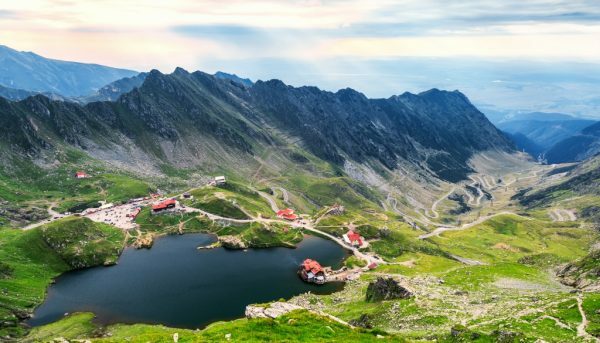 Day 5: (Optional) Depending on flights leaving and arriving time, we would recommend an extra day that could cover a Spa Day and visiting the Romanian capital Bucharest or historic city of Sibiu. To make a booking you must add to basket the desire product. You have two payment options: a 50% deposit for each participant or payment in full. In the case you would like to personalise your tour – please fill in the form on the bottom of this page and we will send you an offer on your email address within 24 hours with the price. Once, you agree with the offer presented by us, you will be sent a invoice for 50% of the amount or payment in full. Your booking is only confirmed once you have paid your deposit. After paying your deposit, you will receive an invoice showing you any remaining balance you might have and the due date,which is usually 8 weeks before your trip. If your trip is in less than 8 weeks, a full payment would be required to secure your holiday. If your balance is not paid on time we may have to cancel your booking and retain the relevant cancellation charges. In the case of needing to cancel your holiday please could you will need to call or email us with the name and date of your trip and the group size. The time I spent in Romania was as eye-opening as it was fun. Guided by Dan’s expert knowledge of his surroundings and the country’s history, we were able to enjoy a holiday unlike any other I have been on! Experiences like sitting by a fire that was cooking traditional Romanian stew, drinking home-made wine and overlooking the gorgeous, untouched beauty of Romania’s mountains is a experience that I will not forget. Dan’s passion for the country is clear, his effervescent nature bringing Romanian history and present to life. 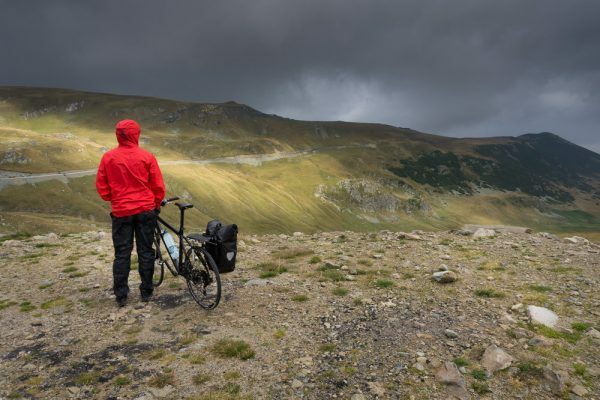 He knew the cycling routes inside out, offering countless informative and interesting snippets of information, so that we all could appreciate our surroundings. Indeed his first and last thoughts were always about us, making sure we were having fun and enjoying everything that was on offer. The peacefulness that came from the journey as a whole was perfect to unwind from my usual life back in the UK. Overall, I experienced far more than I expected to, opening my eyes to a beauty in this part of the world that I did not know existed. I cannot recommend the experience highly enough. I will certainly be returning in the near future! 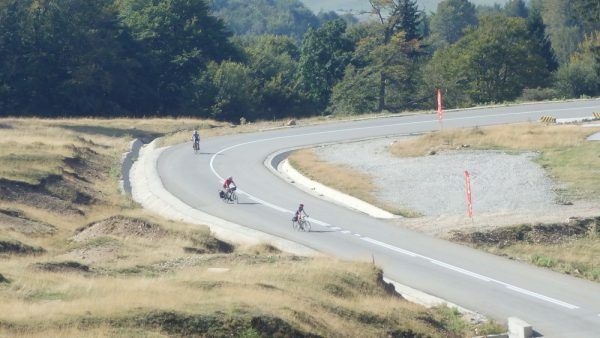 The Leisure Cycling Tour by Velo Holidays was one of the best trips I have ever taken! Dan took our cycling tour through some incredible landscapes and made us feel welcome as if we were at home. Apart from his excellent local knowledge, he surprised us by cooking or providing small stories and introducing us to the locals. 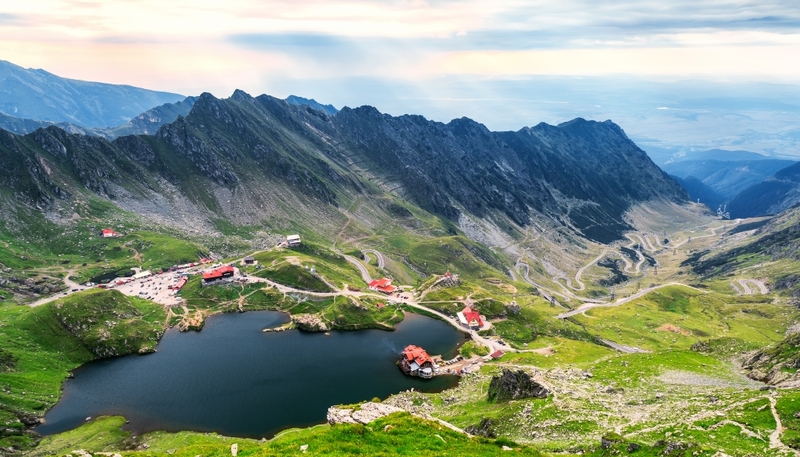 The Carpathian Mountains, where our tour was located, was breath-taking! The bikes were all of exceptional quality and he managed to combine the pace of all the participants. But the best thing was that he fully introduced us to the traditional Romanian ways of life - We ate some of the best traditional Romanian food and saw untouched Romania at its finest. This trip is well worth the money and definitely not one to be missed! Our trip with Velo Holidays was a great introduction to Romania and I can’t wait to go back! I would’ve struggled to know where to start when planning a trip but Dan had recommendations for the best places to go before the trip and arrange things to do and food to eat. He was happy to change plans along the way to best suit what we wanted to do each day and we ended up with a real variety from caving and mounting climbing to castle tours and campfire mealtimes with the locals. I specifically liked that it was made to be "our experience". As a country and as a tour, both get 5 stars from me! To get a custom quotation please fill in the form below! We are pledging to bring the biggest smile on your face and give you an experience that you would never forget!